Wash Fenugreek Leaves thoroughly and roughly chop them. Next wash toor dal and drain of water. Add the fenugreek leaves, tamarind juice with water, green chili and turmeric powder with the toor dal and pressure cook it for 6 whistles. Let it cool down. Once done mash them totally and add salt. (I didn’t mash it well :P) Now mix it well. 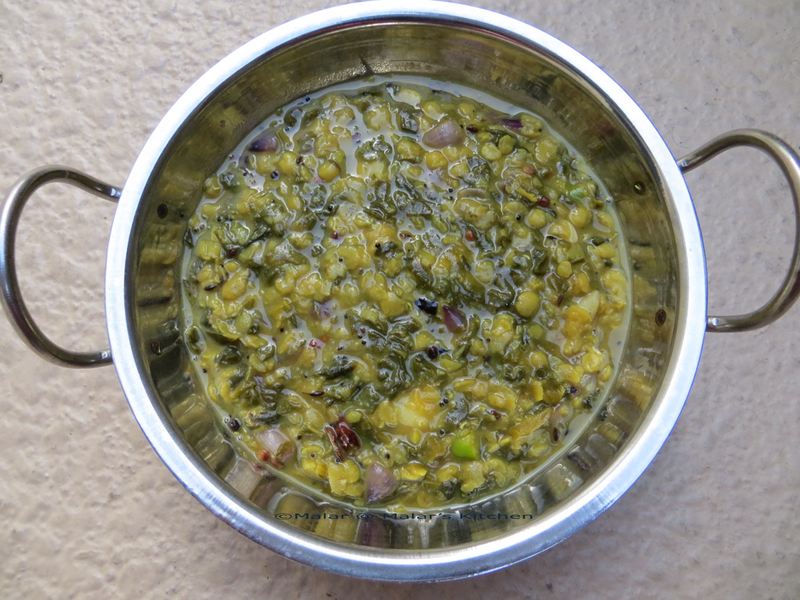 Heat oil in a pan, when hot add mustard seeds, urad dal, Cumin seeds, asafoetida and broken red chili. When it crackles add the chopped onions and garlic and mix well. 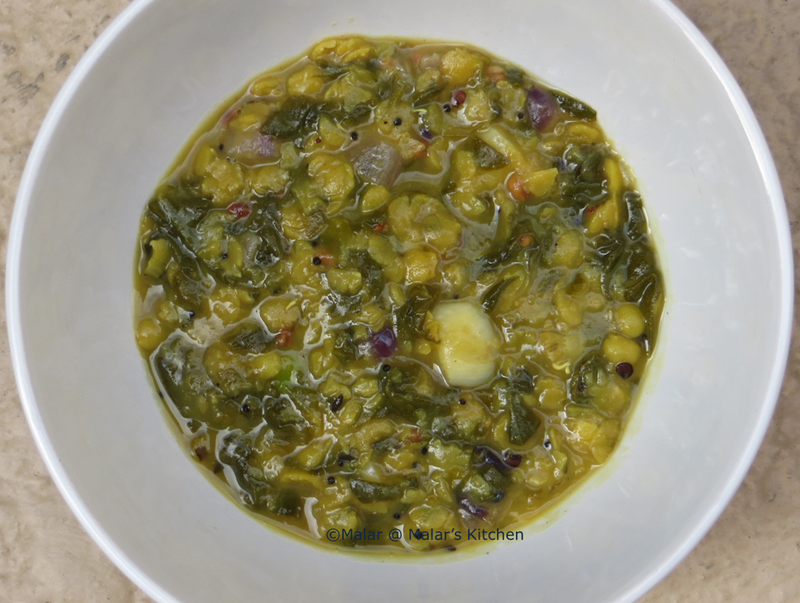 When garlic turns a little golden color , add this tadka to the dal/lentil cooked above.